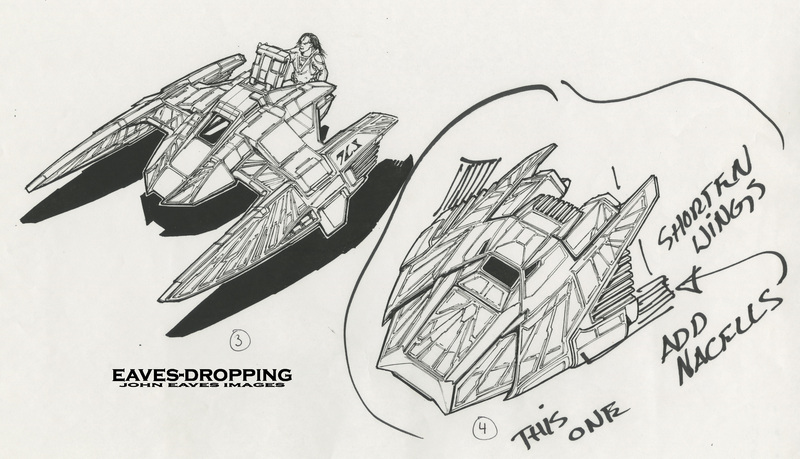 To finish off yesterday’s post, here are two more ideas for the Klingon shuttle from “Broken Bow”. 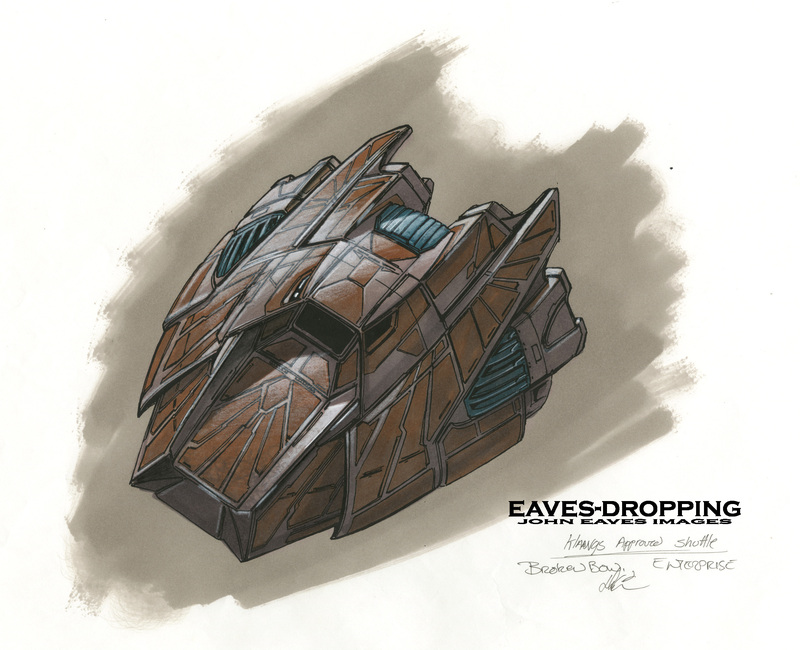 The producers saw these concepts and, with some notes added, chose the bottom right concept. When all was said and done, I don’t recall seeing anything on the screen except maybe a blur of the ship crashing. The sequence was a bit more elaborate in the script with the ship pile driving across the corn field in a very Superman-esque type of crash. I believe all of this was eliminated due to time or costs, and a less complicated idea took to the screen instead. 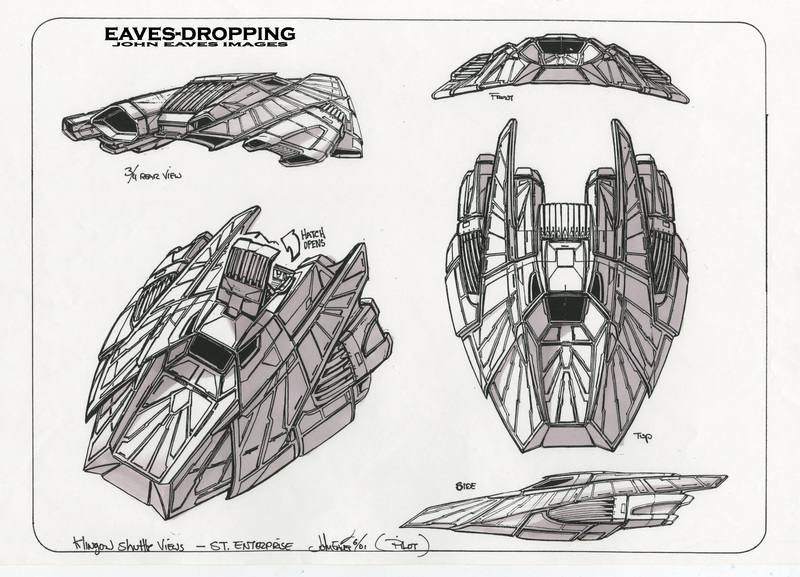 For Episode #51 (the Bounty), the script called for another Klingon ship of different architecture from the big winged ships and had to be a cheap build. 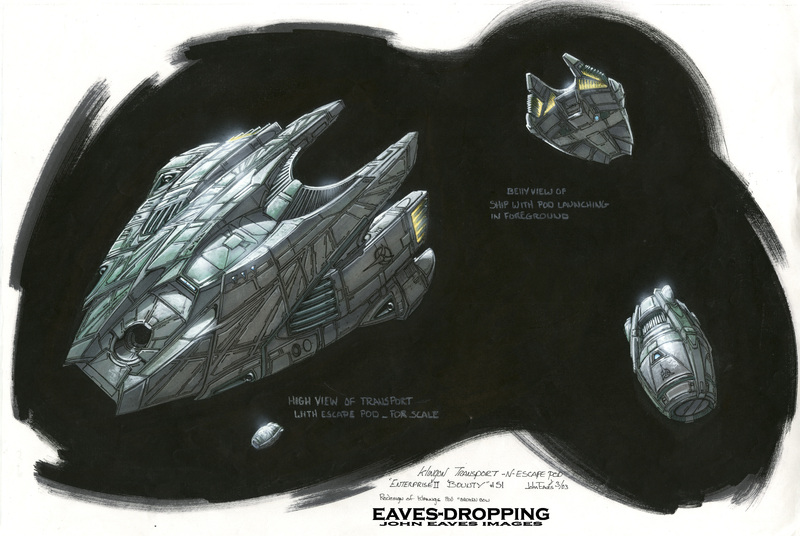 We pitched a redress, revamp, and rescale of the Broken Bow ship because the CG model existed already; so was born this new adaptation of it’s prior concept. It made for a fun redraw and it looked really nice on the screen!! Thanks to the Masters at EDEN VFX!! !